The effectiveness of optimal semi-active dampers for reaching the optimum gains of the response of the adjacent buildings connected by magnetorheological (MR) dampers subjected to seismic motion is examined in this study. One of the challenges is to improve an effective optimal control strategy, utilizing the capabilities of the MR dampers. Hence, a SIMULINK block in MATLAB program was developed to compute the desired control forces at each floor level and to the obtain number of dampers. Linear quadratic regulator (LQR) and linear quadratic Gaussian (LQG) controllers are used for achieving the desired control forces, whilst the desired voltage is synthesized based on clipped voltage law (CVL). The control objective is to diminish both the displacement and acceleration responses. As a result, MR dampers can deliver noteworthy displacement response control that is possible with less voltage for the shorter building. Spencer JBF, Suhardjo J, Sain MK. Frequency domain optimal control strategies for aseismic protection. 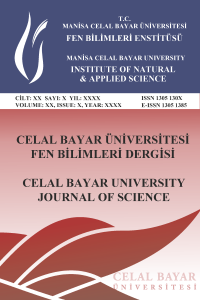 Journal of Engineering Mechanics, 120 (1), 135-158, 1994.